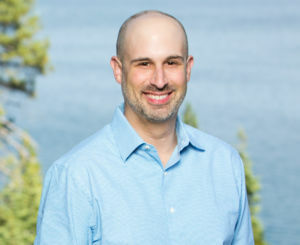 If you aren’t bored of 2019 predictions by this point, here are some from Jay Friedman (pictured below), president, Goodway Group, for those on the ground, working within day-to-day campaign planning and operations. I’ve seen all the big predictions pieces. “CX will be in!” “AI will dominate!” Yeah, yeah. Tell that to the media trader who has 57 ad groups to create for the new Valentine’s Day campaign about to launch. 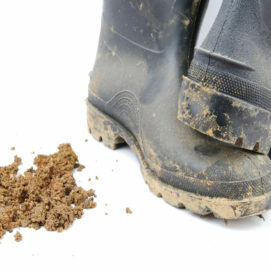 These are boots-on-the-ground predictions. These are predictions that deal with the reality we work in every day and the trends that will most affect your year. Sometimes nice guys finish last. Unfortunately, there are still SSPs processing millions of dollars per month that have about four employees and are just arbitraging traffic, domain spoofing, and playing other games we should be well done with by now. And how will these SSP players continue to survive? The answer to that lies in analysing common trading behaviours. Why does delivery spike the last day of the month, quarter, and year? Someone didn’t pace their campaigns right. And where will traders managing those campaigns find that traffic? Not with the high-quality SSPs, because they can’t just manufacture more traffic, that’s for sure! The bad actors will lose in the long run, but a few who play fairly will be consolidated out first. In-housing has been all the rage. The reality is, most brands are unprepared for it, don’t have the stomach to make it successful long term, and are more excited to say they’re doing it than to actually do it. 2019 will be the year that more brands push work back to outsourced companies than they take in-house. Whether or not that work is pushed back to traditional agencies, or to new resources, remains to be seen. You know why I’ve never seen banner ads for romantic dramas or teen-pop music? Because data companies track me and know those ads would be irrelevant to me. I’m grateful for this. Show me an ad though for the newest slapstick comedy or rap album and I’m happy to have been targeted. If privacy = less tracking, data, and knowledge about consumers, what consumers don’t understand is that they won’t see fewer ads with more privacy compliant laws; they’ll just see less relevant ads. By then it will be too late. Brands will finally stop giving Facebook a pass for falsifying metrics, bad visibility into FAN, and the fact that Facebook ads run next to content equally as objectionable as we’ve seen on YouTube. Some brands will pull the plug entirely. “Alexa, optimise my campaign.” … “Hmm. I don’t know that one.” AI is coming and will have a massive impact on our daily lives; but not this year, at least not for the front-line traders and ad-ops folks loading up campaigns. Things have become, and will continue to get, a bit easier, but when clients still pay on FTE models, don’t expect agencies to embrace automation, since it directly takes money out of their pockets. 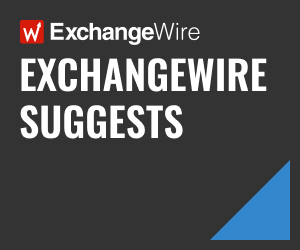 Despite a promise to the contrary, ExchangeWire’s CEO, Ciaran O’Kane, will continue his Twitter rants because he says what we’re all thinking and has a great platform to do it. Well done, my friend.